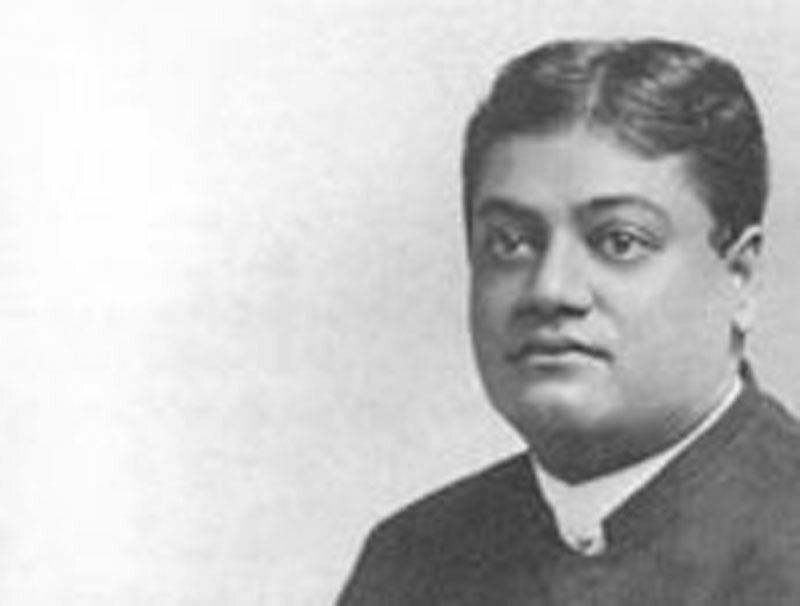 Last evening the Swami Vivekananda gave the first of a series of three public lectures at Tucker Hall on "The Development of Religious Ideas." The speaker dwelt briefly on the similarity of ideas in the minds of orthodox Christians, Mohammedans and Hindus with regard to the origin of their religions. Each believed his particular prophet or teacher to have been inspired in some mysterious way by a God or Gods, who as it were, regulated or influenced the affairs of this world from a distance. The modern scientific mind, on the contrary, instead of seeking for outside or supernatural causes for phenomena endeavored to find cause in the thing or condition itself. While at first glance this method of investigation might seem to take from religion some of its vital elements, yet in reality it resulted in man finding that the spiritual attributes of deity and the states of mind producing heaven and hell were all within himself, and although the result of this rational modern inquiry might appear to contradict much that had been handed down in the old religious writings such as Bible, Koran and Vedas, yet the contradiction was more apparent than real, for the prophets and teachers of old had true perceptions, but were mistaken only in attributing their experiences to outside agencies, instead of realizing them to be the development and expression of elements in their own souls before unknown and unrecognized. The lecturer traced some of the common beliefs regarding location of heavens and hells, of various burial rites and customs, and he spoke of the impressions made on the primitive mind that resulted in a personification of the active natural forces in the phenomena with which we are surrounded. . .